There are four Harris County bond issues on the ballot this fall. The Chron supports them all, with some reservations. I’m just going to focus on the first one, since it’s by far the biggest and the one for which there is the strongest argument against it. 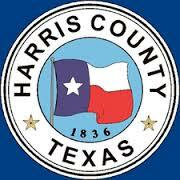 More than 75 percent of Harris County’s growth in the past 15 years has been in the unincorporated county. In those suburban and exurban developments, nearly 2 million people look to their county commissioner as their only representative for local needs – and today they need roads. From the new Exxon-Mobil campus in the north to Port of Houston traffic in the east and new neighborhoods all around, Harris County’s road system is being pushed to the limit. The commissioners want $700 million to make sure that the people moving into their new homes and driving to new jobs don’t hit a gridlock on day one. Of that, $60 million will be spent repairing roads in older subdivisions, such as near FM 1960. However, unlike school bonds or the city’s annual capital improvement plan, the county provides no public list of intended goals. People who live within the city of Houston probably won’t benefit directly from any of that spending, despite our pockmarked streets. That’s a tough sell for the skeptical voter. Nevertheless, these roads are needed if Harris County is to keep growing, and that growth will help everyone in the region no matter where you live. Our Gulf Coast metropolis exists in a tangled web of overlapping local governments that nobody would willingly design from the groundup. The millions living in the unincorporated county need their own cities to provide local services. The economic engines of downtown, the Texas Medical Center and the Galleria area need more support from county government. But before we can take a serious look at reforming local government, voters need to approve Proposition 1. I tried to schedule an interview with County Commissioner Steve Radack to discuss the bond issues, but we weren’t able to make it happen. The Chron lays out the main objection to this – it’s basically going to enable more sprawl, but won’t do much if anything for the already-built environment. Take whatever action you deem appropriate on this one – whatever happens, I’m sure this won’t be the last time we’re asked to authorize capital expenditure for more county roads. The other three issues, having to do with parks, veterinary and animal adoption services, and flood mitigation ponds (which, let’s be honest, would not be as needed if we were better stewards of the natural flood mitigation areas in the county and surrounding areas) are all worthwhile and I’ll vote for them. This one will be a game day decision. I will note that I did receive a mailer touting the county bond referenda the other day. I’d been wondering what kind advocacy there would be for them, if any, given the close call that the 2012 jail referendum had and the likelihood of some “No”-minded voters coming out because they think they’ll get to vote on HERO. It’s not much, but it’s something. Also on the ballot for some of you is a San Jacinto College bond referendum. San Jacinto College, one of nine Gulf Coast regional community college systems, serves as a bridge between a diverse group of high school students -­ 77 percent of whom are the first in their families to go to college – and the burgeoning requirements of a regional hub of the energy, manufacturing, maritime and aerospace industry. Passage of the $425 million San Jacinto bond referendum on the Nov. 3 ballot will provide students a state-of-the-art education in dozens of careers and improve the competitiveness of the workforce for local businesses and industry. I’m in HCC territory, so I know next to nothing about any of this. I’m including this for completeness. What are your thoughts on these issues? I would have greatly preferred the county team up with the city on the animal shelter matter. The city shelled out a tremendous amount of money for BARC already so augmenting it with county dollars probably would have been much more efficient. Given the city and county are teaming up for a holding facility, and half the mayoral candidates are jumping on the possibility of combining crime labs, so why not explore combining animal shelters, and other areas?